So you have done it, booked that amazing trip, waited for travel day to come and now its time to head out and travel with kids! What can you do to best prepare yourself, your luggage, and your kids for a successful journey? 14 DAYS OUT – Find your papers! Double check the location and expiration date of your passports, and any required documentation for travel with kids. This is especially important if one parent is traveling alone. Many countries require notarized affidavits to allow one parent to take a child without the other parent. This is a great time to double check your itinerary and make sure no flight changes have happened to your trip. Also make 2 color copies of your passports if you are traveling outside of the country (each parent should have one set). 7 DAYS OUT – go online and order electrical adapters if you are going out of the country. These adapters will convert the wall plugs in your destination country to those of your home country. If you’re heading to a new country make sure you are prepared! Typically travel accessories are much cheaper online than at your local market. We lay out all the electronics we plan to travel with and make sure we have enough chargers, cords, and adapters. Next call whatever credit cards you plan to travel with and tell them your travel plans so they don’t ping your account for fraud protection. You can do this online or by calling the number on the back of your credit card. 4 DAYS OUT – today we do our first packing of bags. This is when we do all the “big bags”. Pay special attention to the weight of your luggage and try to keep it around 45 pounds. The max for most airlines is 50 but a 5 pound buffer allows for a discrepancy between your scale and the one at the check in desk. Make sure you know what the luggage allowance is on your flights! Most carriers allow 1 free checked bag if flying international and charge for the second. Some credit cards also can get you a free checked bag for yourself and others traveling on your reservation. 3 DAYS OUT – now is the time to go out and find/buy all the stuff you realized you didn’t have when you packed. This is especially important for personal amenities when you travel with kids. The kids need diaper rash cream (if your going to the beach as they WILL get a sand rash), Tylenol, parents need ibuprofen or whatever your preferred pain reliever, allergy medication, and sunscreen. We try to always buy medication in tablet form to ease the hassle of TSA with liquids. If you’re going to the beach; swimmer ear solution. All those things you realized you don’t have but will make the trip and travel with kids much more enjoyable. 2 DAYS OUT – today you pack your carry on. For us, each adult has a roller bag and a personal backpack. Each roller bag gets a change of clothes for each kid, pain management for kids and adults and any of the lithium batteries we need to take with us (lithium batteries can not go in your checked luggage), and snacks. Dried fruit, nuts, anything that is easy to eat that doesn’t melt is a good idea. If your traveling internationally make sure all nuts/fruits are eaten or thrown away before customs. Next goes in the family electronics. We allow each kid to travel with 1 electronic device that is stored in the communal roller board. Our personal backpacks have our computers, toiletries, a portable recharging battery bank for the electronics, and little else. We learned quickly that letting the kids pack their own carry on eventually meant that we would be dragging an overstuffed heavy backpack around for the entire trip after they got bored of carrying it. Since then during travel with kids we allow the kids each a small backpack with 1 book, one personal item, a pair of headphones (each kids has a pair of over the ear headphones), and a change of clothes that match the climate you are arriving in (if we are going from hot climate to cold climate or vice versa). The last thing we do is put an empty water bottle in each carry on. You can not carry water through security but you can take an empty water bottle, then fill it up after security. Before the kids could read we would allow a coloring book with an 8 pack of crayons instead of a book. When the kids were still in diapers we would pack a diaper kit in EVERY carry on! That way we could easily get to a diaper and wipes no matter where we were. Once carry ons are packed we do a final cleaning of our house and prepare it for our absence. 1 DAY OUT – nothing. The goal here is to have everything packed, cleaned and ready. If there are any chores left on the list the morning is the time to get it done. Wake the kids up early and in the afternoon take them out for a physical activity. We always do dinner out the last meal so that the house stays clean and go to bed early! TRAVEL DAY – Get there early! Standing with kids in line for an hour is way more difficult than sitting with kids for an hour. Get there early before the lines and spend that extra time waiting by the gate instead of trying to corral a herd of your children in line. For international flights we always arrive 2.5-3 hours before the flight time. We happily travel with TSA PreCheck which helps with security lines because we travel with kids a lot, but if you do not travel a lot that may not be worth the expense. Look for the kids/handicap/crew line if possible to get through a bit faster. We frisk the kids before we get in the security line and make sure that everything is in their backpack with nothing in their pockets so there are no surprises. Upon arrival (if in a foreign country) we always either convert $100USD to the local currency, or find an ATM to get out around the same amount in local cash. You will likely pay a bit more in conversion fees by not using the ATM but either way getting local cash in your pocket is important as many smaller shops, taxi, food, and tips don’t accept USD. Get a good night sleep the night before so you are rested and ready to go! To travel with kids can try your patience but if you approach it correctly it can be great. Prepare yourself to do what we call “tending the flock”. 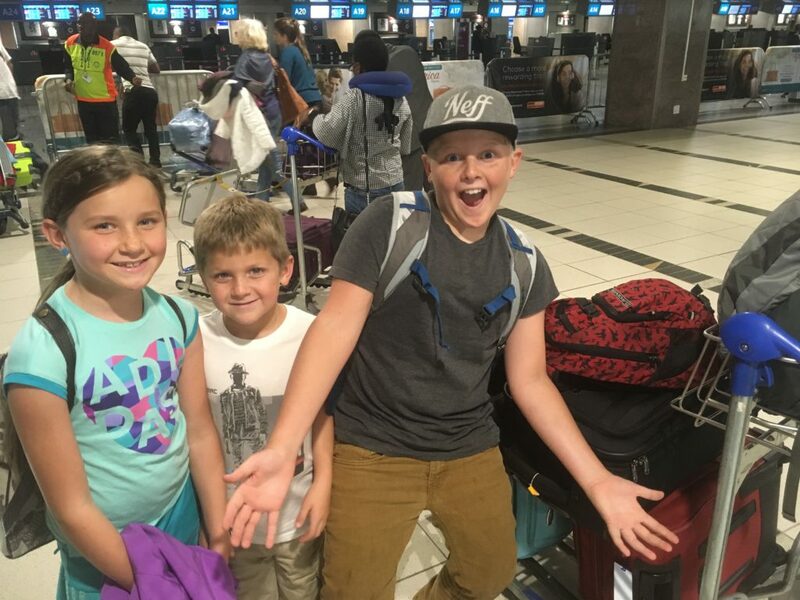 As soon as we start our traveling we realize for the kids its a new environment and things that they normally proficient at can be challenging (like tying their shoes, going to the bathroom, remembering their backpack, ect.) so we pay extra attention to make sure they have their stuff, are not hungry or thirsty, and don’t need to go to the bathroom! Cause if you don’t all three things somehow simultaneously become an issue moments into boarding your flight. 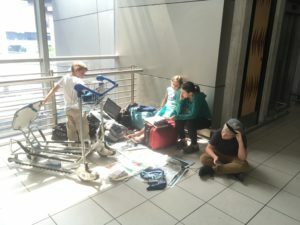 For a very long time we found ourselves dreading the airport as we had to drag around nine 50 pound bags (and often a 12 foot kayak). Since then we have honed our packing skills to try to make our travels easier. Don’t take too much with you. If you are taking an extended trip and have laundry service, plan on less clothes for yourselves and your kids and do laundry while abroad. We pack shoes and let the kids travel in flip flops as they are infinitely easier to slip on and off. Who is ready to board a 17 hour flight? When they were infants/toddlers we would take shifts tending to the child/ren (our kids are all 2 years apart in age). So if we had 2 flights in a trip, we would have the parent in charge for each of the flights while the other was able to try to relax. Obviously if needed the other parent would come in to help but we both realized how important the relaxing time was so we would do our best to leave the other parent alone. When they are toddlers the center seats become your friend! If there are three seats across the middle putting your child in the center allows them to stand and move around with out getting ran over by other passengers or the beverage cart. If you can get the front row (on the bulkhead) you will have way more room for the kiddos to stand and move. Most airlines now up-charge you for the premium seats at the bulkhead, but they can be worth while to have the space for your child. If you are traveling with an infant some bulkhead seats have a bassinet that actually affixes to the bulkhead itself and your infant can sleep away on their back. If you’re taking an overnight flight and can get the bassinet seats your life will be drastically improved by allowing your baby to sleep comfortably all night! When the kids were toddlers we would go to the dollar store and buy a few new toys that we would let them play with for the first time on the plane. But still, less is more, if you take 20 tiny toys in your carry on, you will likely lose half of them and your child will only play with one! For the infants and toddlers be certain to have plenty of sippy cups with water or juice as the drinking motion can help them clear their ears during takeoff and landing. Once they are about 5 travel with kids become much easier. For our brood we try to find a balance of screen time vs book time vs sit in your seat without bothering everyone time. We are pretty strict on them NOT kicking the seat, yelling, standing and generally making themselves be heard. We try to be as courteous to other passengers as possible. We allow them to watch screens or play with their electronic device after take off, but they must pause or put down their device (including taking out headphones) ANY time the flight attendants are providing service (lunch, dinner, beverage). 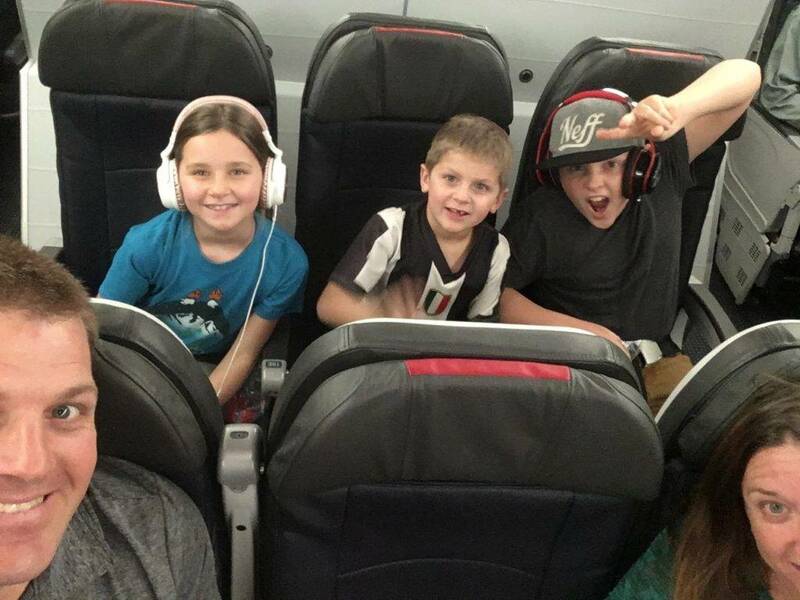 Most long haul flights have in seat entertainment systems, in those systems there are kids movie and TV sections which allow the kids to choose movies and TV shows that are age appropriate. On shorter flights where there are no inflight entertainment options the personal electronic device or book comes into play. If we are taking an overnight flight then screens are off after dinner until the breakfast cart comes around. DO NOT LET YOUR KIDS WATCH MOVIES ALL NIGHT! They can and will do it, then proceed to fall dead asleep while you are standing in the long slow moving lines to immigration or customs! We make each child try to use the restroom right before we board and right after the inflight service to avoid the rush on the restroom that happens an hour or two after the food cart comes around. When they make the call for prep for landing we send the kids for one last try before landing. This is by no means an end all guide to travel with kids but these guidelines have gotten us to be able to travel pretty happily with our kiddos! What do you call a herd of giraffes? A journey! What got us set on family travel to Africa? 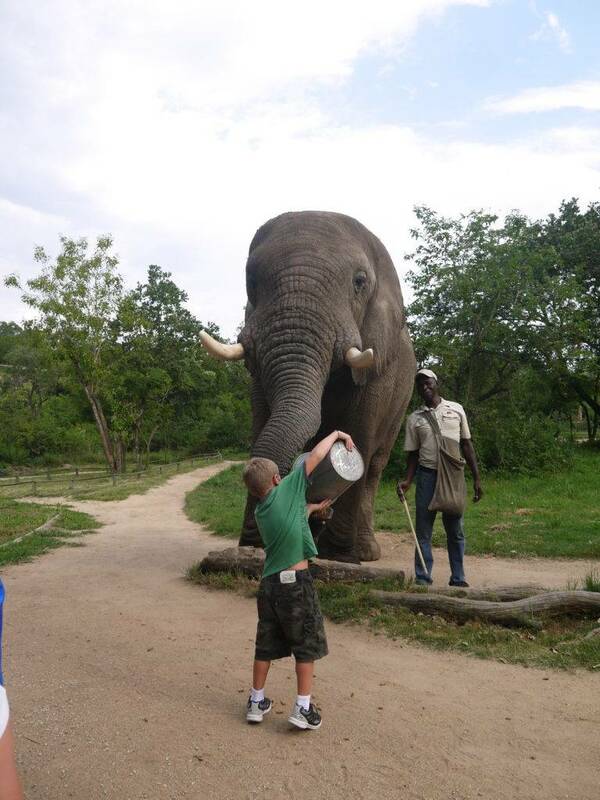 Our family travel to Africa got started a few years ago at a the zoo just outside of Charlotte, North Carolina. It was an amazing place and my daughter absolutely loved it! We were watching the African exhibit and my daughter turned to me and asked if we could go to every zoo in the US. Clever me, thinking on my feet, said “how about instead we just go see all the animals in the wild instead”. “Sure. You are taking us to Africa then” was her reply. Luckily I have always wanted to try family travel in Africa, and I did not want to go to a zoo in every city we visited so I said yes- and our family travel to Africa began. While there are quite a few amazing places to visit in Africa we settled on South Africa, specifically Kruger National Park. 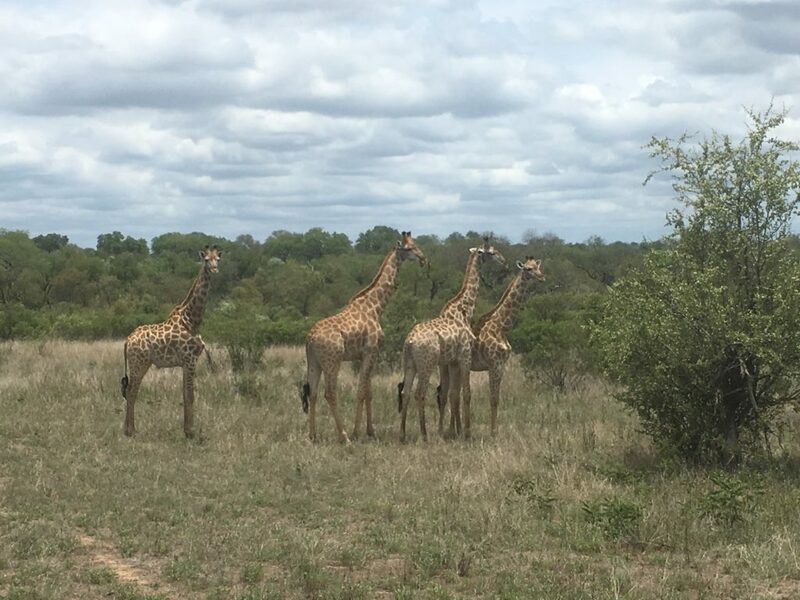 Kruger Park is an amazing place and very accessible (more on that in part 3). We also wanted to see the Indian Ocean and chose Scottsburgh a town just south of Durban four our second destination in South Africa. Back to the drawing board we went this time also looking for available dates on Qatar leaving from London, England (LHR). Sure enough found space again from LHR-DOH-JNB on Qatar and I was back on the phone to AA reservations. Same intro and explination about the routing and avoiding using British Airways. And we stuck gold; found room BOI-DFW-LHR all on AA planes and then Qatar from LHR-DOH-JNB. The routing was a bit long at 13,130 miles it was gonna be a long trip. But I had always wanted to fly Qatar Airlines and our kids are pretty durable so we booked it! 200k in AA miles and just under $250 in fees and we were set for our family travel to Africa. Even better this year I held Platinum status with AA and we were able to get the Main Cabin Extra seats free of charge! We wanted very much to visit the coast and hang out at the ocean and found a great town to visit, the problem was it would have been a 12 hour drive to get from the beach town to Kruger Park for our game drives. Any drive past the 10 hour mark in foreign countries that we have never traveled to before makes us a bit anxious so we opted to fly from JNB to Durban (DUR). A quick pass through google flights we found round trip tickets on a British Airways code share called ComAir for $120 per ticket. I thought about using miles for the journey but the tickets were cheap enough we opted to pay in cash. Of course we used our Amex Platinum credit card to get the 5x bonus on airline purchases directly from the airline. Our original booking home from Africa. 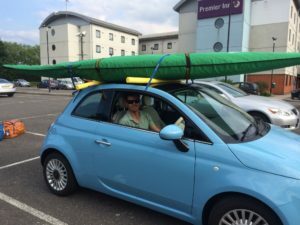 For our trip home we had to get creative as we had used up most of the AA miles we had at the time. There was a bonus at transferring Delta miles from Amex Membership Rewards so we opted to move over a bunch of AMEX points for our return trip. Delta also has one of the few direct flights from JNB to Atlanta (ATL) which we really wanted to get to cut down on the length of the journey home. 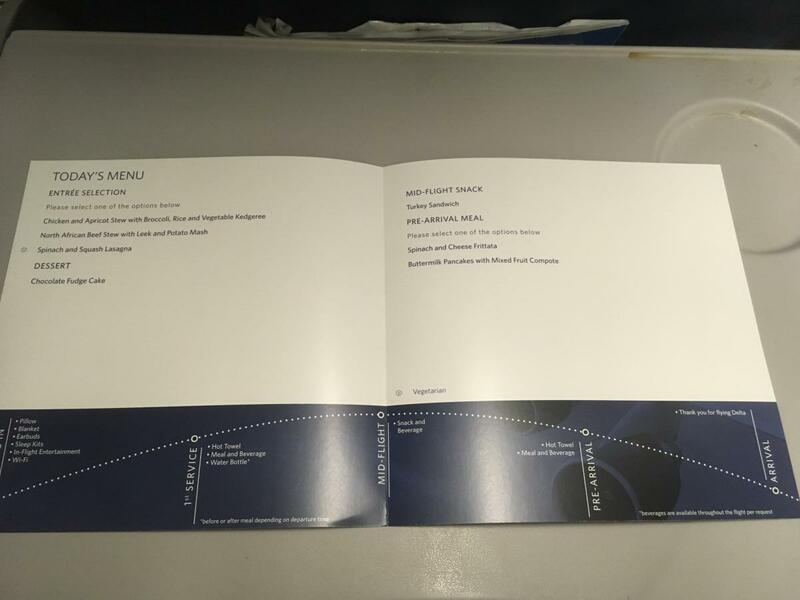 The hard part with Delta miles is that they do not have any published award chart. So you can pay any range of miles per ticket depending on how they choose to calculate it that day. After some browsing I found it possible to get from JNB-BOI on Delta for 40k in miles as well. The hard part was finding the availability. By this time we had a pretty firm time table on when we needed to fly home. Delta opens the availabity 331 days in advance and I wanted to make sure to get the cheaper 40k flight option so exactly 331 days before our trip I jumped on the web and Eureka! I found 5 available seats JNB-BOI on Delta for 40k miles per person. That was the good news, the bad news was that the availability on the JNB-ATL flight was 200k miles per person. The flights we were able to book were on Virgin Atlantic JNB-LHR-SEA-BOI. But we had to get home and had to keep to the mile budget so we booked them! 200k Delta miles and just under $275 in taxes and we were booked home. During our time in Africa I discovered we had a schedule change on our homebound flights and was able to use one of my favorite travel hacks to get us the direct JNB-ATL-SLC-BOI routing! 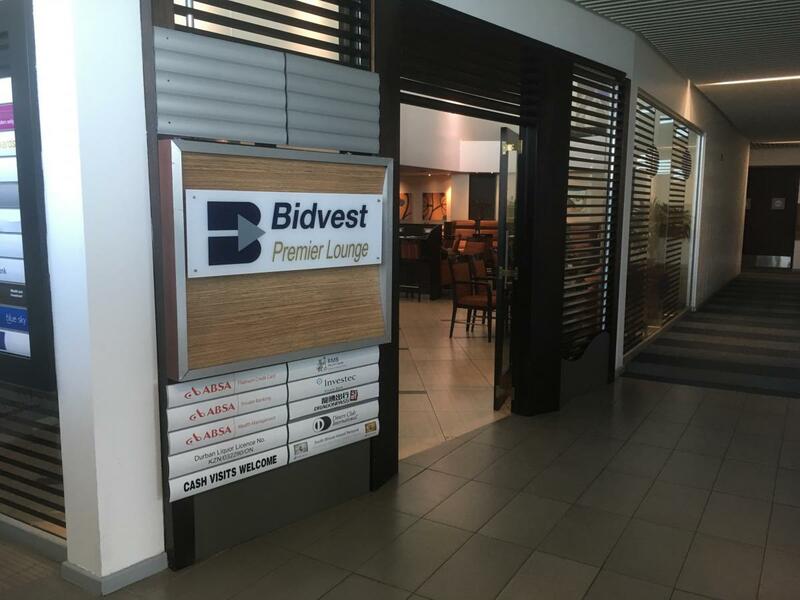 There was nothing too special about our car booking, after checking around prices we found Avis to give a great value and as a perk of my Citi Executive AA Card I have Avis “Preferred” status. We rented a car for the week in DUR for $130 and a week at Kruger Park (rented at JNB) for $120 for a total of $250 in rental cars. This one we got lucky- a great friend of our family had some time shares that she graciously offered us to use for both the weeks we were in South Africa. The costs was minimal to us which obviously was a huge savings, but we checked around both on AirBnB and VRBO.com to see comparable costs and you can easily stay for under $100 per night for a 2 bedroom apartment. 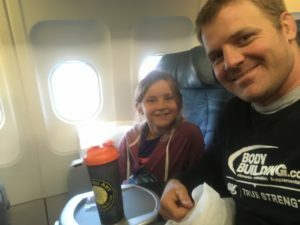 If you read Part 1 of this trip report you know that my daughter and I flew out a few weeks before the rest of the family for some additional kayak races. Both trips were on different airlines and different routes so here are the lounges and flights for each one. We got a free upgrade to business class from my status (Gold) with United on our first Air Canada flight. My trip started with a drive. As we booked a mistake fare from SFO and were unable to find cheap enough flights to get to SFO so a one way car rental from Avis was the first leg of our trip. Check in was easy as I chose a time that didn’t have any arriving flights and after chatting with Avis agent we decided on the most fuel efficient car they had in their lot. I wanted to keep fuel costs as low as possible and they kindly gave us an upgrade to a hybrid car with 80MPG! The drive to SFO was easy and under 10 hours, typically when we position to SFO we stay in an airport hotel, but a friend of mine lives nearby so we did some couch surfing as we had a very early departure in the morning. We checked in early enough to get use of the Centurion Lounge from our American Express Platinum card. The Centurion lounges are my favorite brand of lounge and this one didn’t disappoint. They have a good breakfast buffet with sausage, potatoes, granola, yogurt, toast, bagels, ect. The kids always hear the same thing “eat your fill cause you have no idea when you are going to eat again”. After enough caffine to hop up a race horse we were off. We flew AirCanada from San Fransico (SFO) to Vancouver (YVR) which was a pleasant short flight. We had a 5 hour layover in Vancouver so we made our way to the Maple Leaf Lounge. It is Air Canada’s branded lounge and we used the Priority Pass benefit from the Amex Platinum card. This Maple Leaf Lounge is fantastic. It is quite large with solid buffet option. Macaroni and cheese, nachos, and a few protein choices plus quite a few beers on tap (Tren+Guiness=Happy days). And we were lucky because our YRV-MXP flight was delayed by 5 hours. We both were well fed and watered and didn’t need any more food but I did check with the customer service desk and they were offering food vouchers for everyone on our flight. 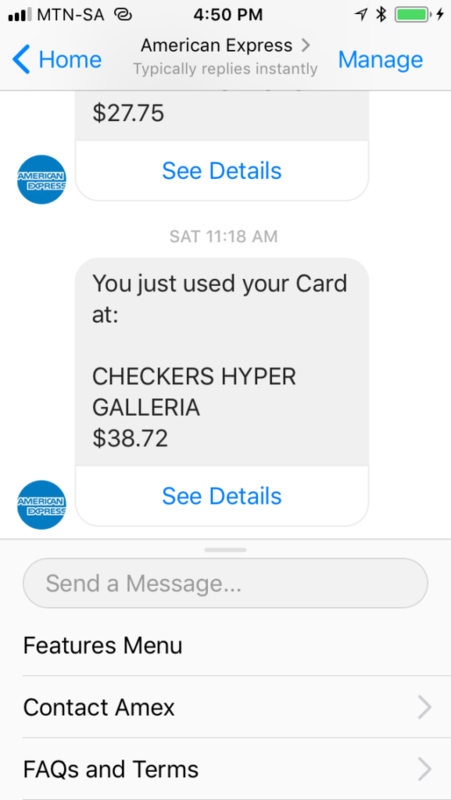 If you delay is more than 3-4 hours its always a good idea to check with customer service to see if any food vouchers are available. Finally 5 hours late were boarded from the YRV-MXP flight which was comfortable, well serviced, and not super crowded. 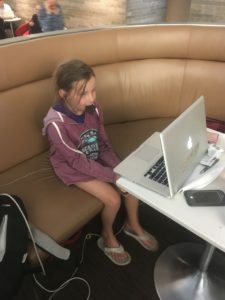 After HOURS of delay, my daughter resorted to candy bars and Netflix in the Maple Leaf Lounge. For the return trip the fare we purchased ended putting us on Luftansa the whole way home. First flight was MXP-FRA and we did not have much time after a lengthy check-in to use a lounge and we went straight to the gate. During check in I was surprised to be told that I was allowed only one carry on (I carry a small laptop backpack and a rollerboard) and would have to check and pay for my slim backpack. I explained that we had booked the flight as a codeshare with United and per my confirmation email I was allowed a personal item plus a carry on bag. After about 20 minutes of slow motion we finally got the bags checked, the carry on bags weighed and labeled as “approved”, and we were off for the gate. The first opportunity for a lounge was the Lufthansa lounge in FRA. They are currently renovating the terminal we were in and finding the lounge was a bit of a labyrinth but finally we found it. Frankfurt is a big airport for Lufthansa and the lounge was packed. We stood around for about 10 minutes until a table opened up and we slid in. The food offerings were quite limited to bratwurst, soup, and crackers. Olivia was thrilled because they did have gummy bears for the kids. The food was not very good and we opted to get a few cups of coffee/hot chocolate then head out to the terminal to await our flight to SFO. In SFO we paid a visit back to the Centurion Lounge for some hydration and got our last flight to BOI. My wife’s trip had less layover time with only layovers long enough for lounges in DFW, LHR and JFK. DFW- Is one of the better Centurion Lounges in the US. It is large, has a kids room with a bunch of Xbox 360 games, and has great food offerings. she likes it in particular because you get free massages. LHR- London is a VERY big airport and if you are arriving by an international flight you have to choose your departure terminal. 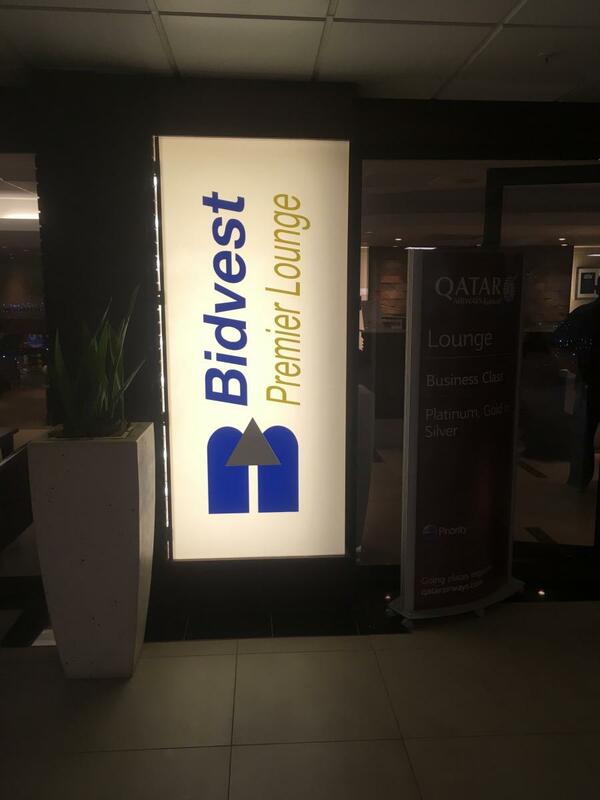 It does not seem that you can easily move between terminals and Linzie’s connecting flight was via terminal 5 which brought her to an Aspire Lounge with access from the Priority Pass benefit from our Amex Platinum card. 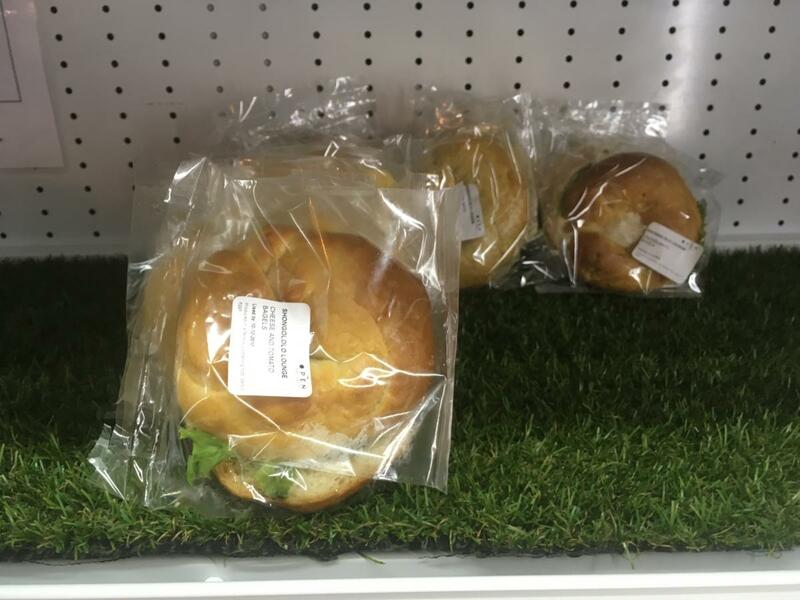 This was any of ours first time in an Aspire Lounge and it did not disappoint. The food offering was during the lunch time with mini sandwiches, pasta, sausage, dessert platter, fruits, and soups. There was a premium menu which came with its own costs, but the free options were plenty to recharge while they waited for our last flight. It was SUPER busy and there was a 20 minute wait list before being allowed in as well as a 3 hour maximum time you are allowed in the club. She and the boys had a 5 hour layover however they were graciously allowed to stay the entire time. With it being so crowded it was hard to stretch out and my youngest son fell asleep which made space quite difficult as they had no kid room. JFK- On the way home it was a shorter layover in JFK and there was an Admirals Club near the gate. They had access via the Citi AAdvantage Executive card which comes with a full Admirals Club membership. The offerings of the Admirals Club are very consistent; soup, cheese, veggies, desserts, coffee, soda, water, and everyones favorite guacamole bar in the afternoon. The best part of the Admirals Club is the kids room and the helpfulness of the front desk staff if you have any flight problems. The front desk staff have always been very helpful and informative for flight changes, and have always gone the extra mile in helping us solve our travel problems. If you missed it check out Part 1 showing you how to book a family of 5 with frequent flyer miles. What to do with three kids in the South of France! We were lucky enough to get to spend 10 days of family travel together in France this past summer and had a blast. We managed to accomplish the entire trip on a limited budget both in the air and on the land. The beautiful castle overlooking the cathedral in Lourdes, France. For this trip we did not travel to Europe together as my daughter and I were already in Europe due to my competing in slalom kayak races. We flew out much earlier than my wife and the boys. My flights were purchased after finding a mistake fare on a great website for finding mistake fares; “Secret Flying“. A fare popped up with round trip tickets from San Francisco (SFO) to Milan, Italy (MXP). Why fly from San Francisco when we live in Boise you say? It’s our favorite word in the family travel cheap mistake fare game called “positioning”. Positioning is basically finding a larger market to originate your overseas flights from. We searched from SFO – MXP instead of BOI – MXP because the reservation systems will not let you access the cheaper fares when you start from a smaller hub. I find often it’s cheaper to buy a regional ticket on a discount carrier to get to a positioning city for the long haul tickets. We used this with great success last year to get to Australia for less than $400 per ticket! Luckily for us I had a race a few hours north of Milan in a town called Ivrea which made Milan a very convenient place to start. The fare was $602 per person with taxes for a total of $1204 for both myself and my daughter to get to Europe. After this was booked we watched one way or round trip fare sales from BOI to SFO and found a one way special for $49 each that had seats for the return flight. We never could find a cheap enough flight to get to SFO so we were off to the car rental agency. A cheap Avis one way rental for $80 got us from BOI to SFO for our international flights. In Europe we traveled from MXP to Barcelona Spain (BCN ) for additional kayak races on Easy Jet which cost $175 round trip for both passengers. For the rest of the family travel we used AA miles. Originally finding a round trip for our ideal dates did not work. The AA “Saver” award level sometimes can be hard to find and we needed to make sure we booked on the cheaper “Saver” award level so we did not overspend in miles. Finally we found a “Saver” level award for 2 one way tickets. We flew the family from Boise (BOI) to Toulouse France (TLS) which was close to our destination town of Pau. The outbound tickets were 30k miles per passenger plus about $60 in fees so a total of 90k miles and $180 in fees. To give you an idea of how you can come up with that number of miles you can currently sign up for a Barclays Aviator card and get 60k miles after your first transaction and pay the yearly fee of $95. If you got a his and hers cards you will have 120k miles just after the first purchase. There are also some Citi branded AA card that also have a signup bonus of 60k each (if you utilize the his and hers PLUS a business card you can easily get another 180k in miles). For the return leg we could not find ANY “Saver” award space out of TLS so I opened the net a bit and discovered that there was plenty of room from Barcelona Spain (BCN) to BOI! We quickly booked Linzie, Merle and Isaac home for another 90k in AA miles and $180 in fees. Our total flight costs were $1744 ($1204 SFO-MXP, $99 SFO-BOI, $80 BOI-SFO + $180 BOI-TLS, $180 BCN-BOI) and 180k in AA miles. You probably noticed that my wife and the boys departed from a different airport then they arrived. We did this for a few reasons, one of which being that was the only place we could get an award ticket. The other reason is that rental cars are WAY cheaper in BCN as opposed to anywhere else we could find in France. The best rental options we could find for our family travel to France were over $500 for the 10 days, where a booking from BCN was around $150 for the 10 day rental. BCN is about a 4 hour drive from where we were staying in France and the drive was quite beautiful and enjoyable. In the past we have used the third party booking sites to try to get cheaper rental car rates, but we soon discovered when you book with a third party it eliminates any option to change or cancel your rental car reservation. Because our plans seem to change a lot we have stuck to booking directly with the agency. We always check the prices against the 3rd party booking sites (we like www.rentalcars.com) and mostly can find similar rates. We always check Avis, Hertz, Enterprise, and EuropCar. So by booking our rental car out of BCN instead of TLS we saved a few hundred dollars and got to enjoy an amazing drive through the Pyrenees Mountains! This one can be the big money burner. Family travel with a group of 5 on the road, we always try to save money and learn about local culture by cooking our own food. In order to have access to a kitchen that mostly means finding an apartment on AirBnB. If you are unfamiliar with the peer to peer accommodations at first it can seem a bit daunting. The idea is that you rent either a room or an entire house directly from the owner of the property. That person meets you at the property to give you keys and show you how everything works. Most of the time in family travel this works out fantastically. We have stayed in AirBnB places for many, many trips and there has only been once where a place wasn’t as described (it didn’t have WiFi when it stated that it did. AirBNB paid for me to get a local hotspot and paid for the data use while I was there). This allows a family to get a lot more room and have a kitchen which allows cooking to save a TON of money on food. We also try to key into what is cheap at the local supermarket. We find what seems cheaper and plentiful at the local super gives you a bit of insight into how the local people eat. Doing so we often eat a bit out of our comfort zone (Kangaroo in Australia and Chicken Liver in Africa) and save money. In Pau we found a lovely 2 bedroom apartment close to downtown for under $70 per night. It had WIFI (our kids’ school is online), was super close to downtown, and the host was super helpful on local things to do. Our total for the 10 days with fees was $820. This trip was a bit more expensive as we bought 2 out of the 5 airline tickets, but they were a mistake fare which helped keep the travel cheaper. For 10 days of family travel in France in the end of the summer we were pretty happy with our total costs in this trip. Obviously we did not include fuel or food costs, but we find we have to pay for gas and food no matter where in the world we are. Check out Part 2 which will include the trip report with reviews of the airport lounges and flights we took in both directions. Looking for your own family travel adventure?? Contact Us in the comments below and we would love to help you track down some good flight deals!